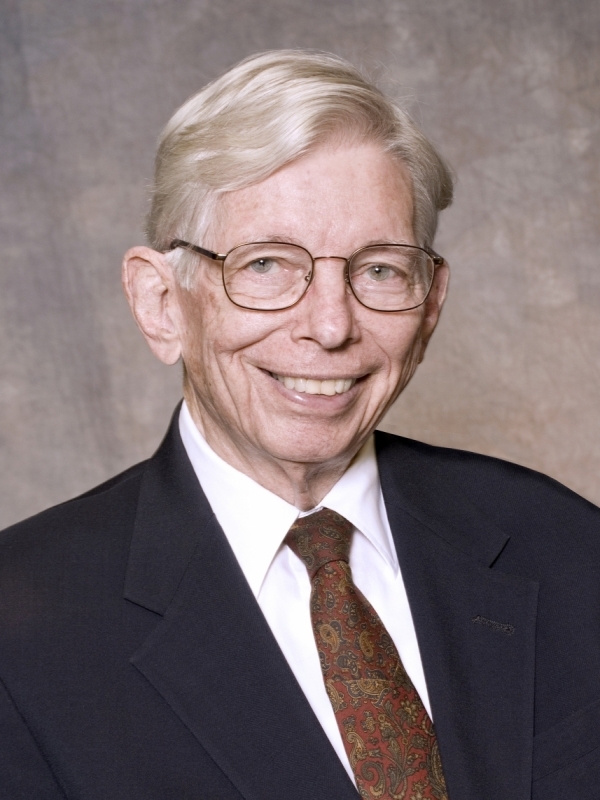 Yesterday, America lost a great scientist and Fox Chase Cancer Center lost a longtime friend and colleague with the passing of Alfred G. Knudson, MD, PhD, who died at home Sunday at the age of 93 after a long illness. Dr. Knudson was one of the true giants in oncology, a scientist who completely and fundamentally changed the way we think about the origins of cancer. Among his many great contributions to the field was his two-hit theory of cancer causation, which explained the relationship between the hereditary and non-hereditary forms of cancer and predicted the existence of tumor-suppressor genes that can suppress cancer cell growth. The confirmed theory advanced the understanding of errors in the genetic programs that turn normal cells into cancer cells and earned Dr. Knudson international recognition. Dr. Knudson first became affiliated with Fox Chase in 1970 as a member of the Center’s scientific advisory committee and joined the Center staff in 1976. In his time here, Dr. Knudson served as director of Fox Chase's Institute for Cancer Research from 1976 until 1982, Center president from 1980 to 1982 and scientific director from 1982 to 1983. Throughout his career, Dr. Knudson received numerous prizes and honorary doctorates including the 1998 Albert Lasker Award for Clinical Medical Research, the 1999 American Society of Pediatric Hematology/Oncology Distinguished Career Award, the 2005 American Association for Cancer Research Award for Lifetime Achievement in Cancer Research, the Charles S. Mott Prize of the General Motors Cancer Research Foundation, the John Scott Award from the City of Philadelphia, and the 2004 Kyoto Prize in life sciences. Beyond his many achievements in cancer genetics, Dr. Knudson was a great man, a great mentor, and a great friend. He will long be remembered and sorely missed by all who knew him.